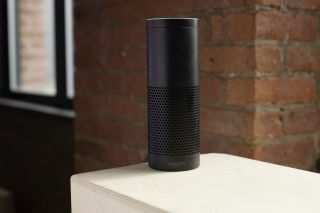 Users can now ask Amazon's Alexa for their medical records and they'll quickly be provided with the most recent information their doctors have on them, the company has confirmed. This was made possible after Amazon signed an agreement with health providers under HIPAA (The Health Insurance Portability and Accountability Act). HIPAA is important because it governs how sensitive patient data is treated by medical staff, and health practitioners and institutions that have signed it basically have the green light to work with Amazon. According to CNBC, Alexa's health and welness team has been hard at work for months, making sure they are HIPAA-compliant. So far, six health partners have been selected for Amazon's invite-only program, which it expects to grow in the near future. This was confirmed on the Alexa dev blog. “These new skills are designed to help customers manage a variety of healthcare needs at home simply using voice – whether it’s booking a medical appointment, accessing hospital post-discharge instructions, checking on the status of a prescription delivery, and more,” Amazon's Rachel Jiang wrote in the post. It seems as the healthcare industry is very interesting for tech companies developing voice-based technology. Amazon isn't the only one looking to get a slice of that pie, Alphabet is in there, as well. One of basic explanations is that seniors, as well as people with mobility problems, see voice tech as much easier to operate, compared to the systems in place today.